Rachel graduated from the University of Birmingham in 1994 with a first class degree in Biological Sciences, specialising in Physiology. In 1997 she graduated from The College of Homeopathy, London, and in 1999 was awarded their advanced qualification ‘Member of The College of Homeopathy’ (MCH). Rachel is a Registered Member of The Society of Homeopaths (RSHom) which ensures the practise of homeopathy at a high clinical standard, in accordance with a Code of Ethics and Practice and with professional insurance. Rachel has been lecturing in both Homeopathy and Medical Sciences at various colleges in the U.K. and overseas for several years. Although she is in general practice she has a special interest in treating physical pathology. In 2005 she was a speaker at the Society of Homeopath’s Annual Conference, giving a presentation entitled ‘Beyond the Smear Campaign’ looking at conventional and alternative treatments for women who have had ‘positive’ smear tests.
" Like most homeopaths, I came to the profession by a rather roundabout route. It started back at school when I remember teachers constantly telling me that I had better make up my mind whether I was an artist or a scientist. The confusion I felt was evident in my study choices – my year off being spent studying French and Art before returning to Birmingham University to embark on my degree in Biological Sciences (specialising in Physiology). It was only during my final weeks at university that I discovered homeopathy and felt the great sense of relief that comes from finally knowing that you have discovered the right path. The day I picked up a copy of Kent’s ‘The Science and Art of Homeopathy’ I felt everything slot into place! I left Birmingham with a first class honours degree and went straight on to the full-time course at The College of Homeopathy, London, qualifying as a homeopath in1997. My science background has lead to a particular interest in the integration of homeopathic and medical knowledge. I am passionate about biology and love introducing students to the wonders of the human body. As well as being Head Lecturer in Medical Sciences for the College of Practical Homeopathy in London for several years, I have lectured in materia medica, philosophy, casework and medical sciences at various colleges in the UK and overseas. 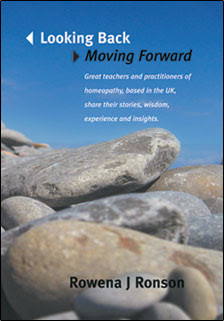 In 2002 I was both astonished and delighted to be voted ‘Most Inspirational Lecturer’ by the students of The College of Practical Homeopathy, Birmingham and in 2005 I was a speaker at the Society of Homeopath’s Annual Autumn Conference. "